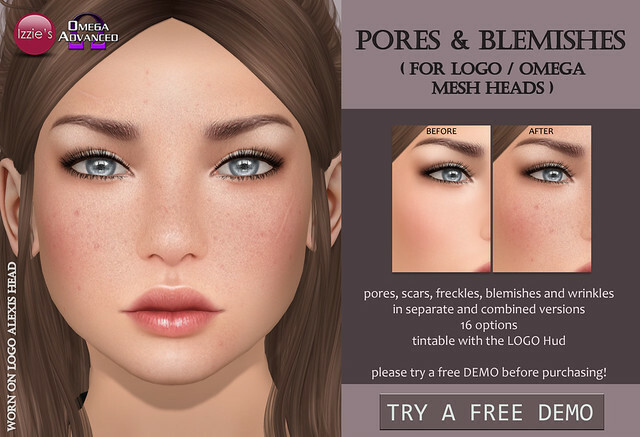 Izzie’s is offering Pores & Blemishes for Catwa, LeLutka Bento and LOGO/Omega mesh heads at TLC. You get pores, freckles, blemishes and wrinkles in separate and combined versions. Please try a free demo before purchasing – there are demos at Izzie’s mainstore as well!